Print the pinwheel on regular paper. Fold the paper in half, with the design on the outside, so that the two sides of the pinwheel line up. 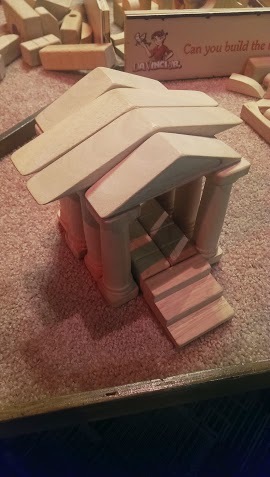 Cut out the pinwheel and cut along the marked slits. 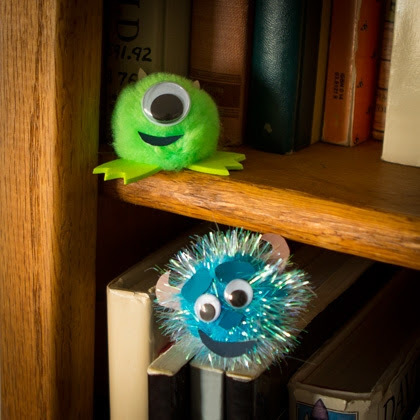 Decide which side you want to display on the outside of the pinwheel and place your pinwheel on a flat surface with that side down. 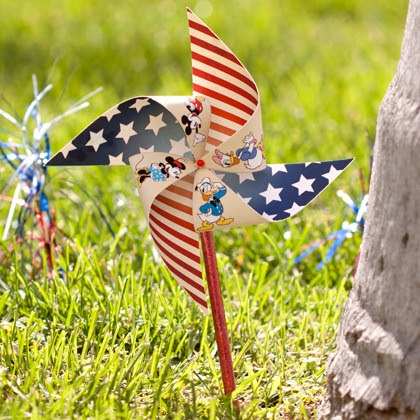 Curl every other point towards the center of the pinwheel and secure them into place with a straight pin. Place the sharp end of the straight pin into a pencil-top eraser and your pinwheel is finished! Please watch children while they play with these pinwheels to make sure they do not pull the straight pin out of the eraser. 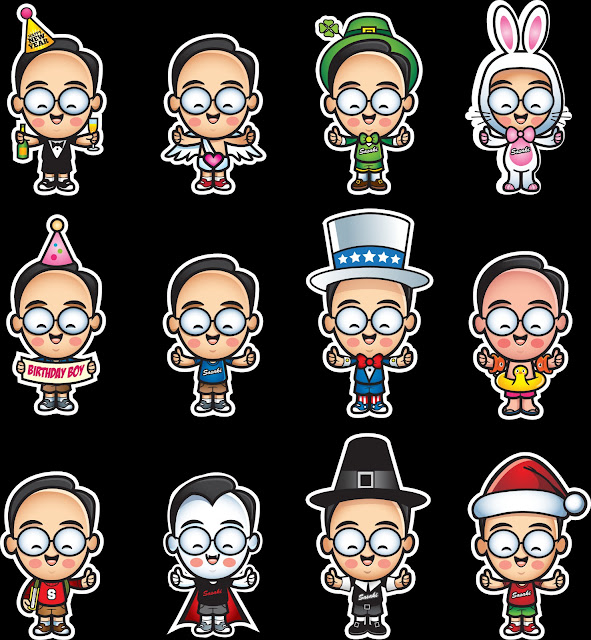 Select one of these Lil Oishi's to appear on your shirt! It will be a white shirt and a size XL! Congrats! You have 48 hours to email me to claim your prize! Red, White and Blue Cheesecake With Chocolate Cookie Crust Recipe! 2 In a bowl stir together the cookie crumbs and the butter until the mixture is combined well and pat the mixture onto the bottom and 1/2 inch up the side of a 9 1/2-inch spring form pan. Chill the crust for 30 minutes. 4 Preheat the oven to 325°F In a bowl with an electric mixer beat the cream cheese until it is light and fluffy, add the sugar gradually, beating, and beat the mixture until it is combined well. Beat in the flour, add the eggs, 1 at a time, beating well after each addition, and beat in the sour cream, the zests, the salt, and the vanilla, beating the filling until it is combined well. 5 Pour the filling into the crust and bake the cheesecake in a foil-lined shallow baking pan in the middle of the oven for 1 hour and 10 minutes. (The cheesecake will not be completely set; it will set as it cools.) Turn the oven off and let the cheesecake stand in the oven with the oven door propped open about 6 inches until it is cooled completely and remove the side of the pan. 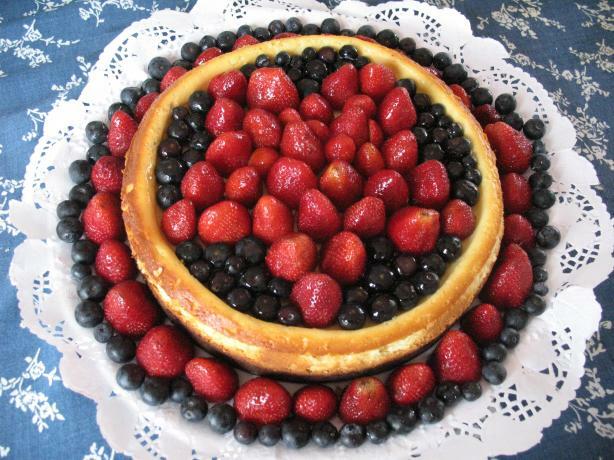 6 Arrange the raspberries on top of the cheesecake in a star shape and arrange the blueberries around the star to cover the top of the cheesecake. Print the hat on regular paper or cardstock and cut out the pieces. Use glue or double-sided tape to secure the A tab on the front piece to the left-hand side of the back piece. Close the top of the hat by securing the B tab to the left-hand side of the front piece. Tuck the C tabs on the top piece into the top of the hat and secure with glue or double-sided tape. Tuck the D tabs on the brim into the bottom of the hat and secure with glue or double-sided tape. Line the brim up with the top piece so that the two dashed lines on the brim are on the left and right sides -- this is where you will attach Mickey's ears. Fold each ear piece in half and secure so the design is two-sided. Line the ears up with the dotted lines on the brim; secure the red tabs to the brim and the blue tabs to the side of the hat. 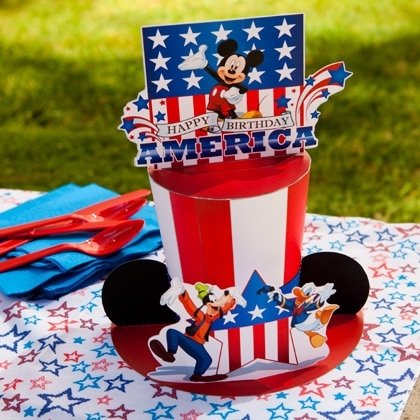 Fold the "Happy Birthday America" piece in half and secure it so the design is two-sided. Use the tabs to attach this piece to the top of the hat. Attach the star pieces to the front and back sides of the brim -- the red tab should face the edge of the brim and the white tab should face the hat. 1 Prepare berry blue jello according to directions on box. Pour into 13x9 baking dish and place in the refrigerator. Allow to chill until firm, about 1 hour. 2 Prepare lemon flavored gelatin using 1 cup of boiling water. Beat cream cheese slightly and then add the lemon gelatin mixture. 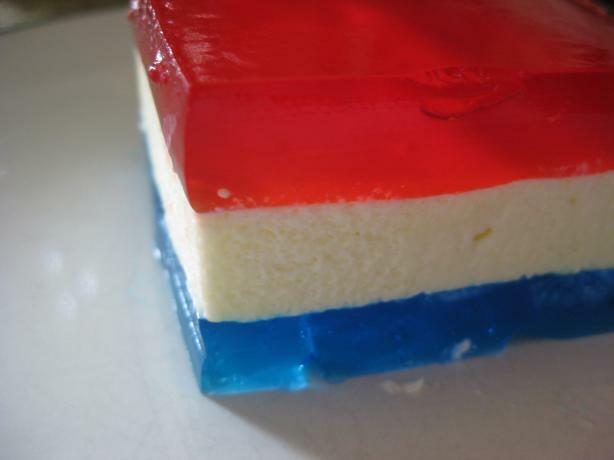 Beat gelatin and cream cheese until smooth. Set aside and allow to cool to room temperature. 3 Once the cream cheese mixture has cooled, fold in the whipped topping until mixed thoroughly. Pour this mixture over the firmly set bottom layer. Return to the refrigerator and chill until firm, about 1 hour. 4 Prepare raspberry jello according to directions on box. Cool this mixture until room temperature and then pour over the middle cream cheese layer. 5 Return the 3 layers to the refrigerator and chill until top layer is firm. 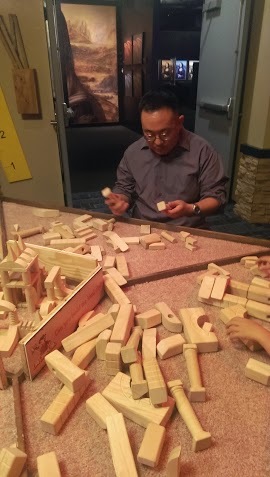 6 Cut into squares to serve. 7 Top with a little whipped topping and a couple of blueberries, if desired. 1 Place the ice cubes in the bottom 3rd of a tall 12 ounce clear glass. Pour the cranberry juice or fruit punch in to fill the bottom 3rd. 2 Place a few more cubes in to the middle and pour in the blue Gatorade to fill the glass 2/3 full. 3 Place the final 3rd of ice in the glass. Pour in the diet 7up or diet Sprite. 1 Preheat oven to 375 degrees. 2 Make the cupcake batter. In a large bowl, cream together the butter and sugar. Add the eggs one at a time. Stir in the vanilla and baking powder. 3 Add the flour and milk in batches, starting with flour and ending with flour. Stir until the batter is smooth and silky. 4 Fill paper-lined muffin tins with the batter 3/4 full. 5 Bake for 18 to 20 minutes. Allow to cool completely before decorating. 6 While the cupcakes are cooling, make the apple pie filling. Heat the butter in a large skillet over medium-high heat. Stir in the cinnamon, nutmeg and sugar. Cook until the mixture begins to bubble, about 1 minute. 7 Lower the heat to medium. Stir in the apples and salt. Cook and stir occasionally until the apples are tender, about 10 minutes. Remove from the heat and cool. 8 Assemble the cupcakes. Using a paring knife, cut out the middle of each cupcake using the coning method. 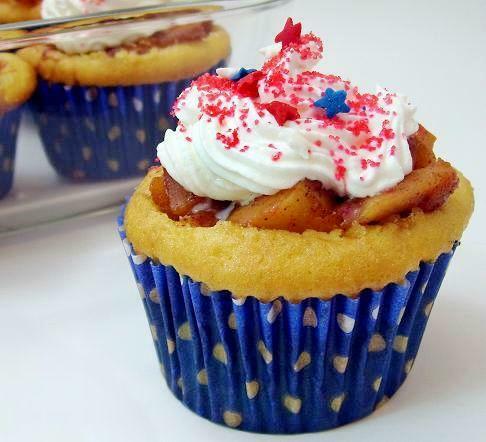 9 Spoon the apple mixture into each cupcake and drizzle caramel over all. 10 Top with whipped cream and decorate. 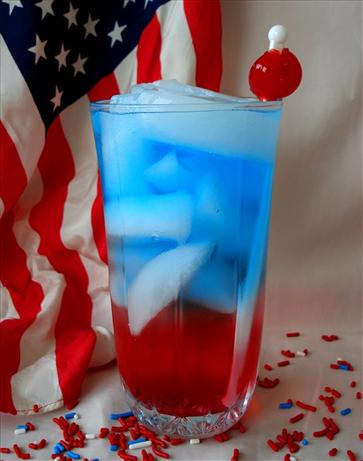 One way to make a splash this Fourth of July is by treating your kids to tall glasses of Patriot's Punch. Simply fill an ice cube tray with a red or blue fruit-flavored beverage (such as Powerade, Gatorade, or Kool-Aid) and let the cubes freeze solid. 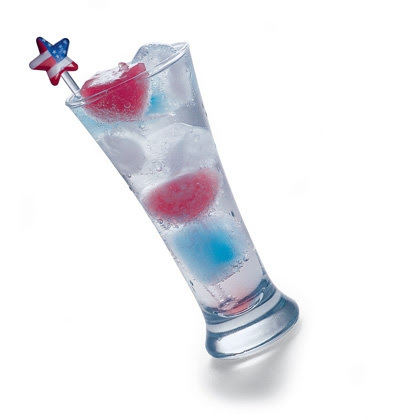 Then drop three or four colored cubes into each glass, pour in flavored seltzer water or clear soda, and watch the special effects. As the cubes melt, colored bubbles will swirl through the seltzer. Hello car fans! I am back with another vehicle review for you! 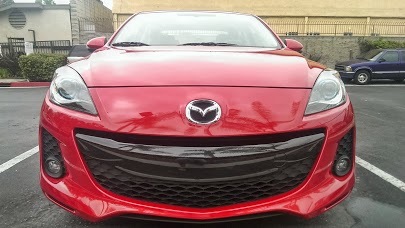 This time it is my first Mazda review! Let's learn more about the 2013 Mazda 3 i Grand Touring and take a look at what this SkyActiv technology is all about! This is a good looking four door car! The front is very aggressive and really screams that it is meant for speed! Mazda has a long racing tradition and takes their learning lessons and puts them into their street legal vehicles! After all their motto isn't, "Zoom, zoom!" 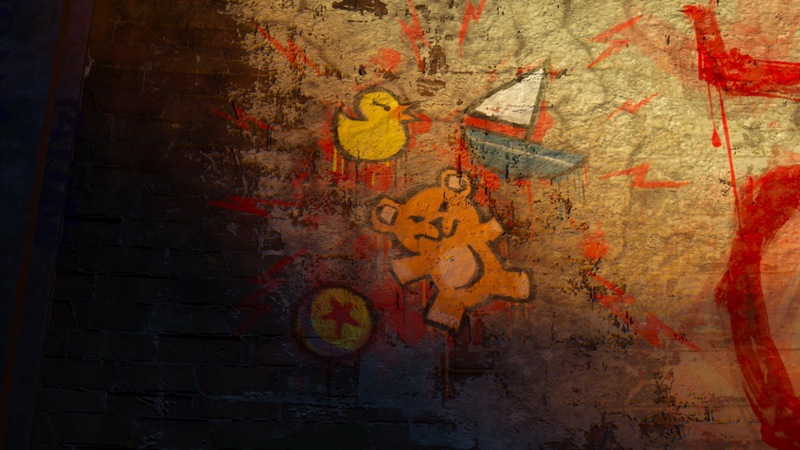 for nothing! The engine is a bit loud but provides all the power you need and more to get up to highway speeds or passing cars. The engine did not struggle at anytime during my review. It was meant to eat up Los Angeles traffic! It handled great in the curves and the brakes are solid! Check out the cockpit with leather bucket seats, and a dashboard that looks like a fighter plane instead of a cars! Sorry the photo didn't come as clear as I would have liked but I love the blind spot signal in the side mirrors. All vehicles should come standard with this great safety feature! 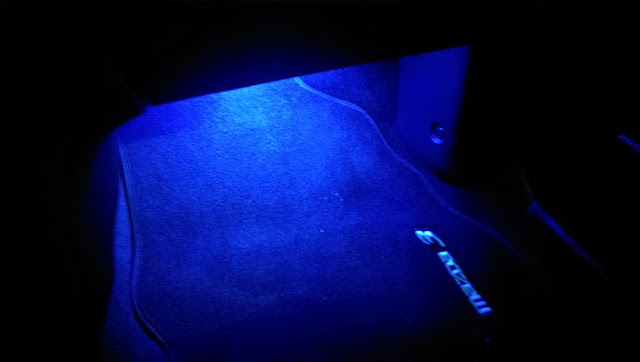 An incredible sound system by Bose came with my review car! The Bose speakers are crystal clear and powerful! The dashboard is sleek and sports car like! 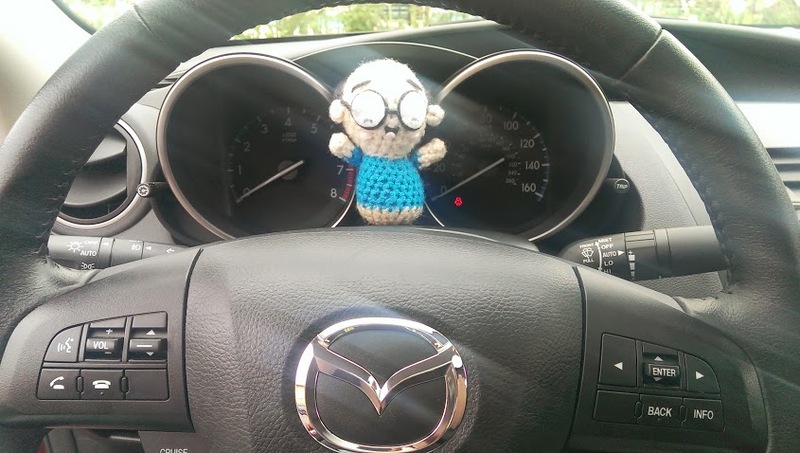 Sasaki Time mascot Lil Oishi is ready for a drive! Even the center console screams speed! A minor complaint here. 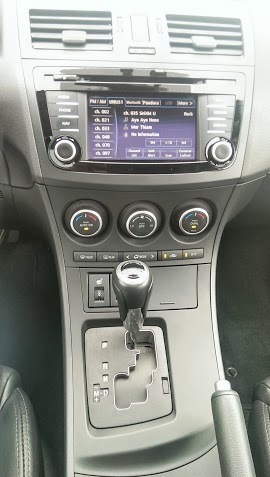 The Mazda 3 i Grand Touring came equipped with another favorite feature of mine, push to start but I don't like keeping my keys in my pocket and did not really have a great place to keep my keys. 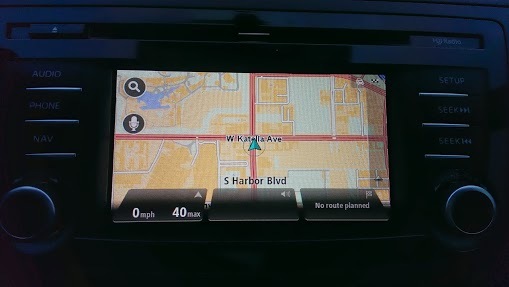 The navigation system is by TomTom and is simple to use. 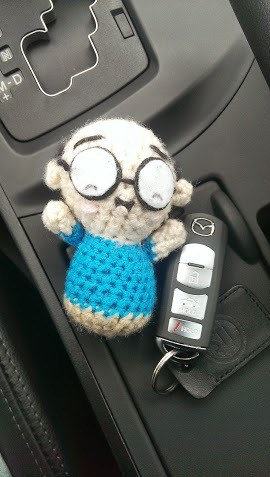 Lil Oishi is a little bigger than the Mazda key fob. There are two cup holders in the center console. I really loved the storage unit in the center console. 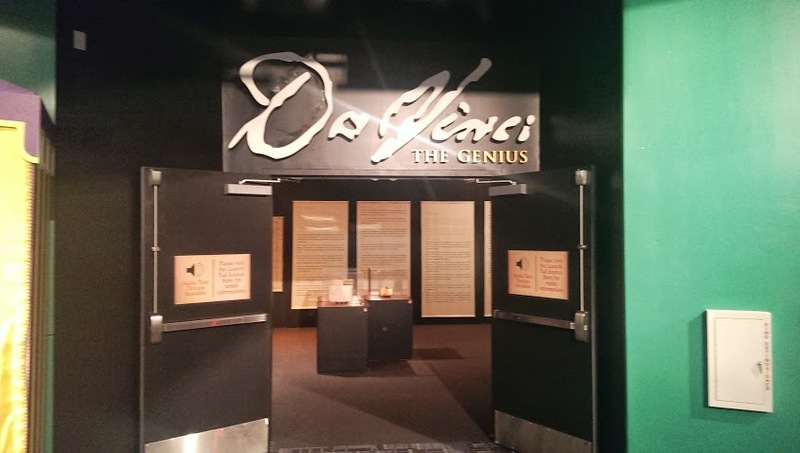 I found this the best place to keep my keys or place my cell phone while I kept it charged. Inside the center storage area is this set of plugs. I was able to sue my HTC One cable to plug into the USB/AUX plug. Such a great convenience! You can run the cable outside of the central storage area to keep your phone out if you would like. I love the luminated floor at night. The rear seats are pretty comfortable for average sized adults. My friends that are fairly tall (close to 6 feet tall) did not have a lot of leg room in the back. Quite a bit of room in the trunk! Lots of room for luggage or groceries! 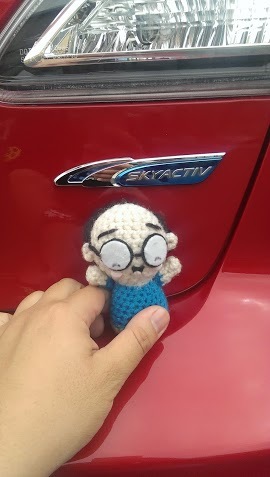 Lil Oishi loves Skyactiv. From stronger and lighter body structures to changes in ways the engine runs to increase efficiency and at the same time decrease emissions, Skyactive is more than just a marketing buzzword. 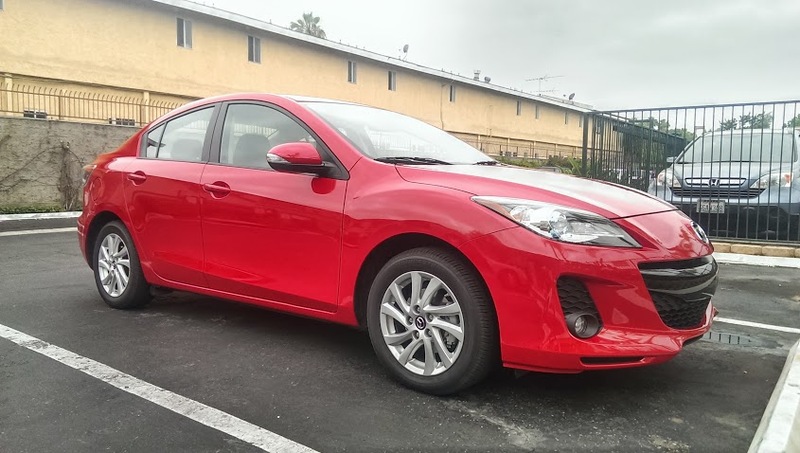 It helps the Mazda 3 get an impressive 40 mpg on the highway and 33 overall. Great gas mileage in a fun to drive car! Zoom, zoom! The total for the car I reviewed came in at $26,420! A great value for all that comes with the car! 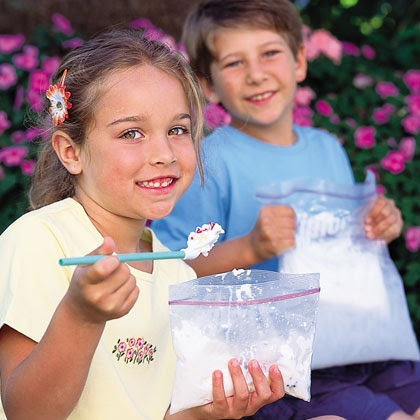 Take the smaller bag out of the larger one, add mix-ins, and eat the ice cream right out of the bag. Easy cleanup too! Monsters University: Hidden Gems - Pizza Planet Truck! Pizza Planet – The Pizza Planet truck is in the driveway of the JOX fraternity house when Mike is riding Archie the Scare Pig down Greek Row. 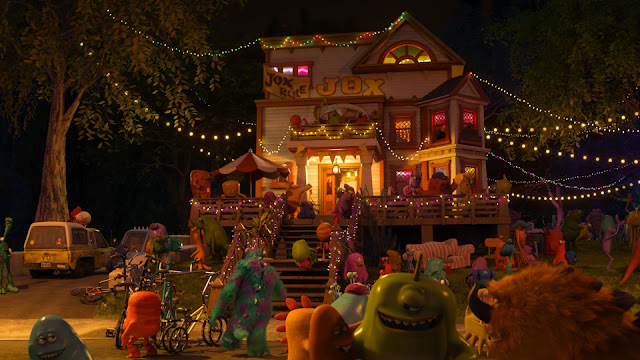 The Pizza Planet truck, which first made an appearance in "Toy Story," has made a cameo in nearly every Pixar feature film. Coat a 9- by 13-inch pan with nonstick cooking spray. Set the pan aside. Coat a medium saucepan with nonstick cooking spray and melt the butter and marshmallows in it over medium-low heat, stirring continuously. Stir in the vanilla extract. Add the cereal. Remove the pan from the heat and stir the mixture until it forms a large ball. Add the sprinkles or candies, if desired. Spoon and press the mixture into the 9- by 13-inch pan. Chill the pan for 10 minutes. Then cut the crisped rice treats into twelve 2-inch squares. Peel the container away from the ice cream. 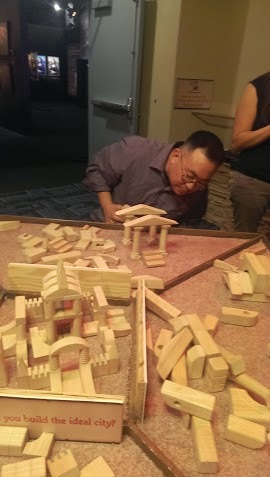 Working on a waxed-paper covered surface, slice the ice cream into six 2- by 2- by 1-inch blocks with a warm knife (a parent's job). Sandwich each one between 2 crispy squares and lightly press the layers together. Makes 6 sandwiches. 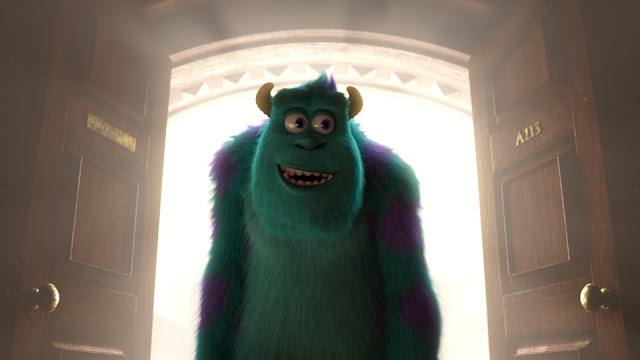 Disney's Planes is in theatres in 3D August 9! 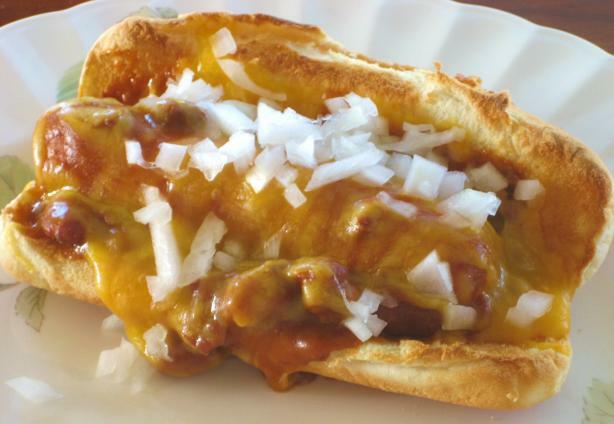 1 Place hot dogs in crock pot. 2 In a bowl, combine the chili and soup and pour over hot dogs. 3 Cover and cook on low for 4-5 hours. 4 Serve hot dogs in buns. Top with chili mixture, onion and cheese. In a small bowl, combine the graham cracker crumbs and the melted butter. Set aside 1/2 cup of the mixture, then press the remainder into the bottom of a 9- by 13-inch pan. 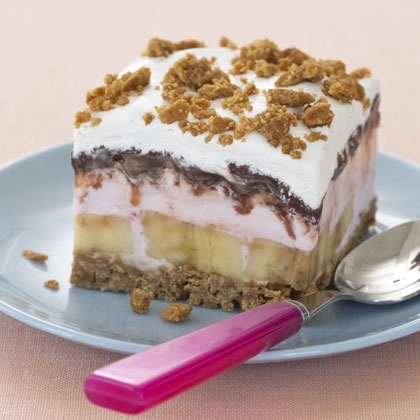 Place the bananas in a single layer over the crust. Spread the softened ice cream on top and smooth. Sprinkle the nuts on the ice cream, then cover with plastic wrap and freeze until firm, about 1 hour. In a large saucepan, melt the chocolate chips and the remaining 1/4 cup butter and stir until smooth. Add the confectioners' sugar and evaporated milk. Cook, stirring constantly, over medium heat until slightly thickened and smooth, about 8 minutes. Remove the pan from the heat and stir in the vanilla. Cool the mixture, about 30 minutes, stirring occasionally. Pour the mixture over the ice cream and freeze until firm, about 45 minutes. Spread the whipped topping over the chocolate layer and sprinkle with the reserved crumbs. Freeze for at least 3-1/2 hours. Remove the dish from the freezer 10 to 20 minutes before slicing. Serves 18. 1 In a resealable bag, combine the Tabasco, onion, and oregano. Add the hot dogs and seal the bag. Marinate in the refrigerator for 2 to 24 hours, turning occasionally. 2 Drain the hot dogs, reserving the marinade. Grill the hot dogs over medium heat for 5-7 minutes, turning several times. Toast the buns during the last minute of grilling time. 3 While hot dogs are cooking, put the reserved marinade in a small saucepan and bring to a boil. 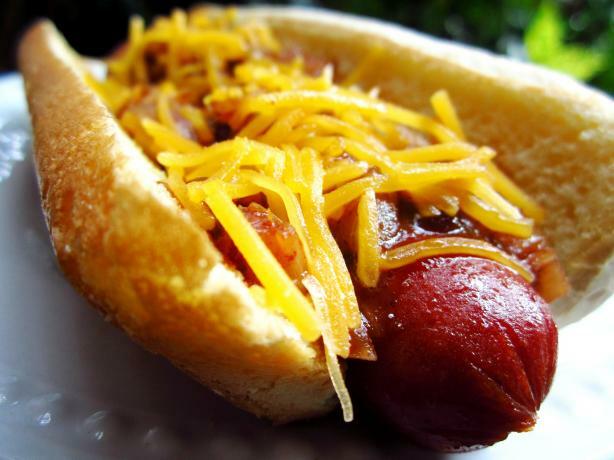 4 Serve hot dogs in buns, topped with some of the reserved marinade and onions or relish if desired. AMERICAN AIRLINES AND DISNEY LAUNCH HIGH-FLYING COLLABORATION WITH "DISNEY'S PLANES"
LOS ANGELES – Today American Airlines and the Walt Disney Studios announced a strategic collaboration on the upcoming “Disney’s Planes” movie, including a cameo appearance by Tripp -- inspired in part by American’s Boeing 777-300ER, the newest addition to American’s fleet. Tripp dons the airline’s new look, complete with the company’s newly developed flight symbol and stripes on his tail for a special cameo appearance in the film. To kick off the excitement, American and Disney this morning surprised customers traveling through Los Angeles International Airport (LAX) with gate celebrations and giveaways, including special guest appearances by the film’s director Klay Hall and actor Carlos Alazraqui, who provides the voice of passionate racer El Chupacabra (El Chu) in the film. In addition, American and Disney today premiered a special version of the “Disney’s Planes” trailer for LAX customers, as well as American’s new custom animated commercial directed by Hall, and developed in conjunction with McCann Worldgroup. In the spot, characters from the movie, including Dusty, El Chu and Tripp, highlight American’s fleet modernization efforts with a comedic flare. American also held the inflight debut of the trailer and commercial spot onboard Flight #2442 from LAX to Dallas/Fort Worth International Airport (DFW). The trailer, ad spot and images of Tripp are available for viewing starting today at aa.com/disneyplanes. “Disney’s Planes” and Tripp soar into theaters nationwide beginning Aug. 9, 2013. Leading up to the film’s release, the companies plan to roll out an integrated marketing effort, including collaborated advertising, promotions and inflight entertainment. American will also feature an inflight version of the movie in October, one month earlier than other airlines, as part of American’s continuing effort to provide customers with the latest and most exclusive content. 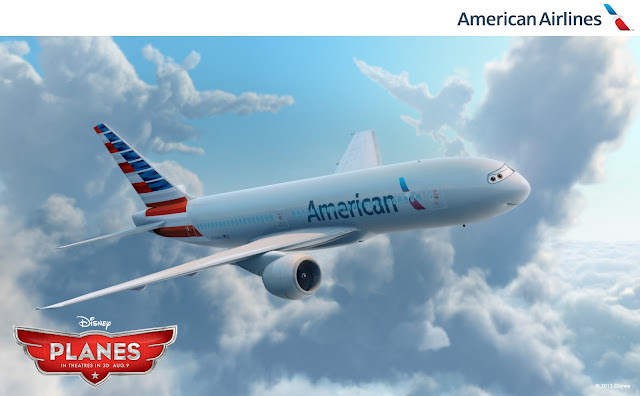 For more information on American’s 777-300ER and other fleet renewal plans, visit aa.com/newplanes, and for more information about American’s collaboration with “Disney’s Planes,” please visit aa.com/disneyplanes. American Airlines focuses on providing an exceptional travel experience across the globe, serving more than 260 airports in more than 50 countries and territories. American’s fleet of nearly 900 aircraft fly more than 3,500 daily flights worldwide from hubs in Chicago, Dallas/Fort Worth, Los Angeles, Miami and New York. American flies to nearly 100 international locations including important markets such as London, Madrid, Sao Paulo and Tokyo. With more than 500 new planes scheduled to join the fleet, including continued deliveries of the Boeing 737 family of aircraft and new additions such as the Boeing 777-300ER and the Airbus A320 family of aircraft, American is building toward the youngest and most modern fleet among major U.S. carriers. American's website, aa.com®, provides customers with easy access to check and book fares, and personalized news, information and travel offers. American's AAdvantage® program, voted Program of the Year at the 2013 Freddie Awards, lets members earn miles for travel and everyday purchases and redeem miles for flights to almost 950 destinations worldwide, as well as flight upgrades, vacation packages, car rentals, hotel stays and other retail products. The airline also offers nearly 40 Admirals Club® locations worldwide providing comfort, convenience, and an environment with a full range of services making it easy for customers to stay productive without interruption. American is a founding member of the oneworld® alliance, which brings together some of the best and biggest airlines in the world, including global brands like British Airways, Cathay Pacific, Iberia Airlines, Japan Airlines, LAN and Qantas. Together, its members serve more than 840 destinations served by some 9,000 daily flights to nearly 160 countries and territories. Connect with American on Twitter @AmericanAir or Facebook.com/AmericanAirlines. American Airlines, Inc. and American Eagle Airlines, Inc. are subsidiaries of AMR Corporation. AMR Corporation common stock trades under the symbol “AAMRQ” on the OTCQB marketplace, operated by OTC Markets Group. Let the ice cream set out at room temperature for 20 to 30 minutes to soften. Next, scatter 3 tablespoons of any flavor of powdered gelatin over the bottom of a sealable, medium-size square or rectangular container. Layer one quarter of the softened ice cream over the gelatin. 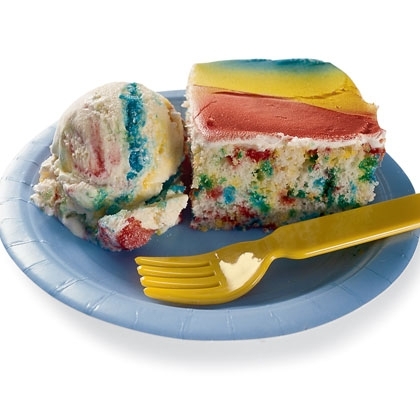 Don't worry if the layer of ice cream is lumpy - it will look better that way. 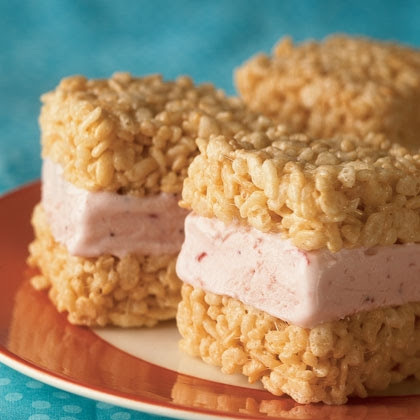 Scatter 3 tablespoons of a second flavor of gelatin over the first layer of ice cream. Repeat this process, alternating layers of ice cream and flavors of gelatin, until you've used up the ice cream. Top it off with a layer of gelatin, cover the container, and return it to the freezer for 2 to 3 hours to harden before serving. To serve the ice cream, transfer the whole block from the container to a plate. To do this, run warm water over the outside of the container or set it in a sink filled with a few inches of warm water for 1 minute, then turn it upside down onto a plate. To get a nice spiraled serving, scrape an ice-cream scoop or large spoon along the side of the block. Makes 16 servings. Line a large cookie sheet with aluminum foil. Lightly butter the foil and set it aside. Finely chop the nuts and set them aside. Melt together the butter and chocolate in a double boiler (or in the microwave at half power, stirring every 30 seconds), stirring until smooth. Set aside to cool. Beat the sugar and eggs on high speed in a large bowl for about 5 minutes. Blend in the melted chocolate and vanilla extract until smooth. Stir in the nuts. Mix together the flour, baking powder, and salt. Add them to the chocolate mixture and stir until evenly blended. Let the dough sit for 2 to 3 minutes. Scrape the dough into the center of the buttered foil. Spread the dough into a more or less level circle 12 inches in diameter. Refrigerate for 10 minutes while you heat the oven to 350º. Bake the crust on the center oven rack for 13 minutes. Transfer it to a cooling rack and cool it until it is just warm to the touch. Invert the crust onto a second cookie sheet, then gently peel off the foil. Invert it again onto the sheet or a serving tray and refrigerate for 30 minutes. Smooth a layer of slightly softened ice cream 1/2 to 1 inch thick evenly over the crust. 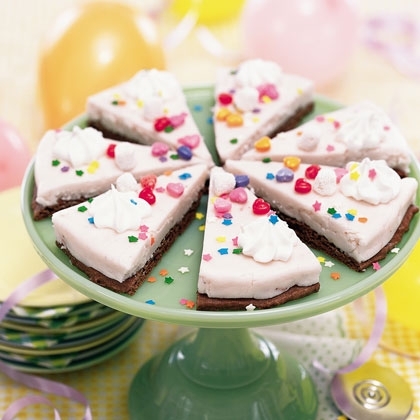 Decorate with canned whipped cream and candies (if you're presenting the pizza whole, consider using lines of whipped cream to draw slices). Transfer the pizza to the freezer until you're ready to slice and serve. Break each cookie or slice of cake into several small pieces and divide them evenly among six 3-inch ramekins, pressing them into the bottom of each. Fill each ramekin with ice cream, using the back of a spoon to smooth it level at the top. Place the ramekins on a cookie sheet in the freezer while you prepare the snow (meringue). Heat the oven to 500º. Place the egg whites in a medium-size bowl and whip them with an electric beater set at medium-high speed until they resemble soap bubbles. Add the cream of tartar and continue beating until soft peaks form (now it will look like shaving cream). While you continue beating, add the sugar 1 tablespoon at a time and then the vanilla extract. Continue beating until shiny, stiff peaks form, about 2 minutes. Now you have your snow! 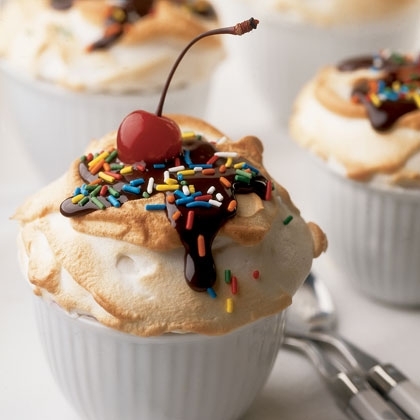 Remove the ramekins from the freezer and spread the snow meringue over the top of each with a spatula, taking care to completely cover the ice cream. This "blanket of snow" is what insulates the ice cream, keeping it cold in the hot oven. Bake the snowballs on the cookie sheet until the tops are golden brown, about 1 to 3 minutes. Watch them carefully; they brown quickly. Garnish the snowballs with chocolate syrup, sprinkles, and cherries, and serve. Makes 6. 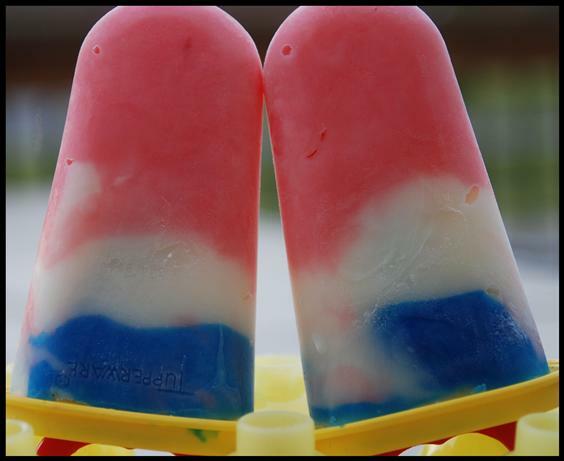 1 To make a half dozen pops, tint 1/2 cup of the yogurt with red food coloring and 1 1/2 cups with blue food coloring. Leave the rest plain. 2 Make waxed paper cone liners by folding six 12-inch square sheets into triangles, wrapping each around a sugar cone, and using tape to hold the shape. Then place the paper cones inside the sugar cones. 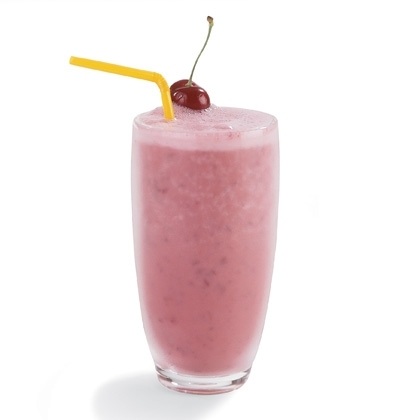 3 Fill each cone with 1 tablespoon red yogurt, followed by 2 tablespoons white yogurt, then 3 tablespoons blue yogurt. Insert a Popsicle stick and freeze the pops until firm, about 4 hours, using the cone box with six circles cut out to keep them upright. Blend all ingredients together. Serves 2.